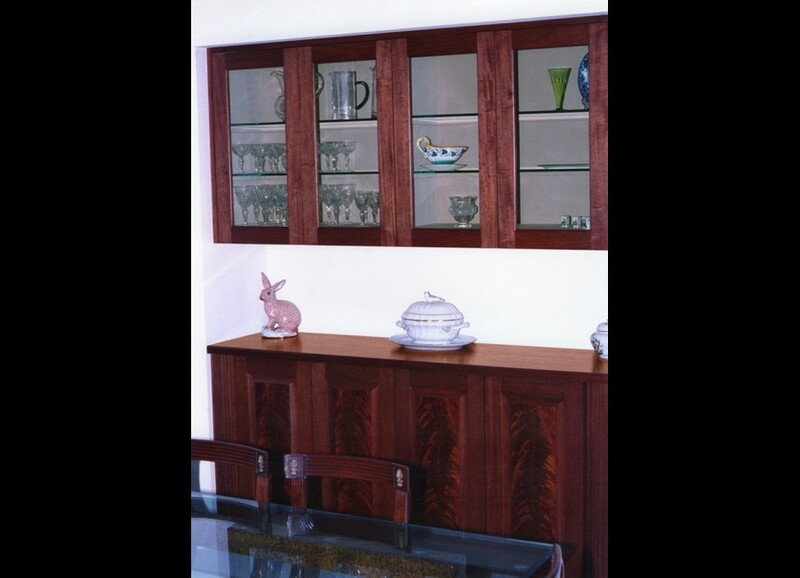 Mahogany, Bees-wing Andiroba, Ebonized Walnut including a pattern in parquetry, glass shelves and lots of lighting. 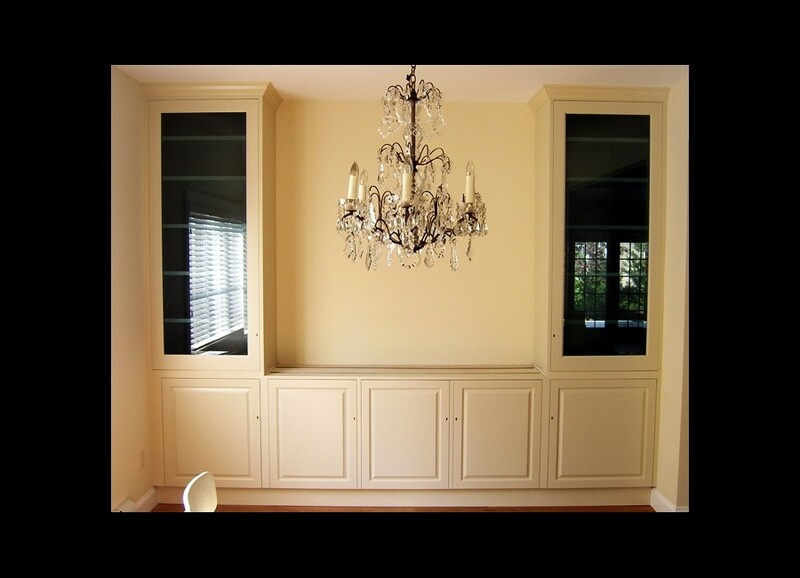 Painted off white per decorator. 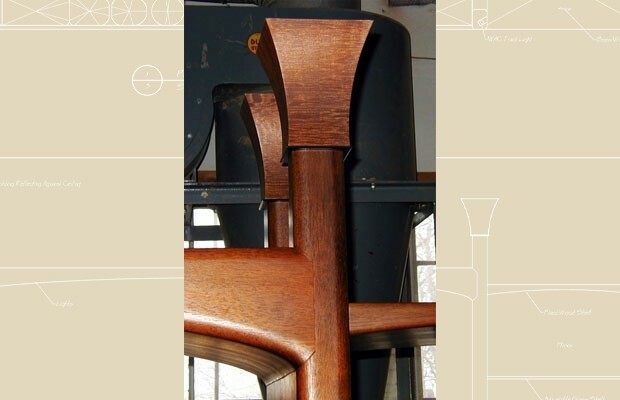 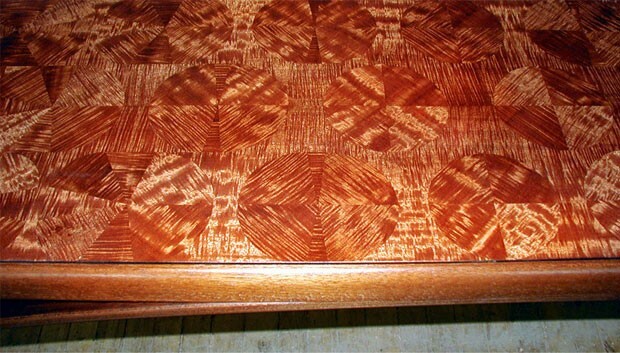 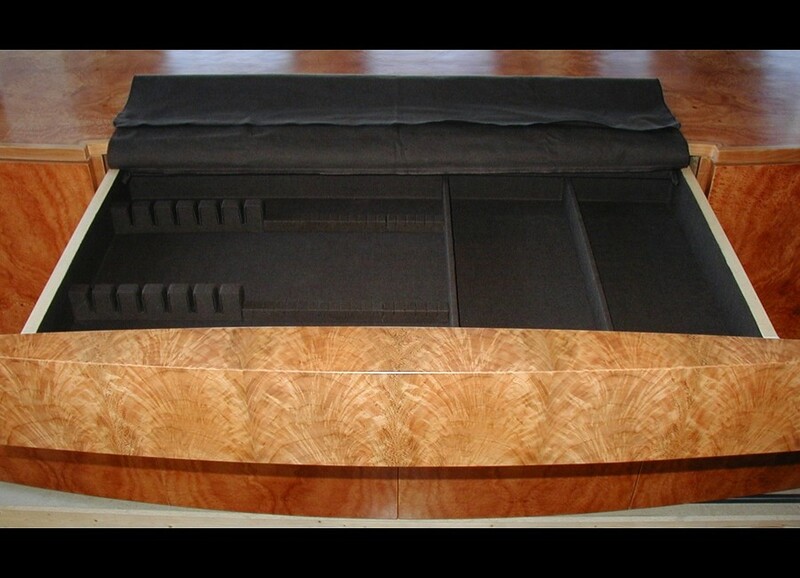 Crotch Mahogany with Silk lined interior. 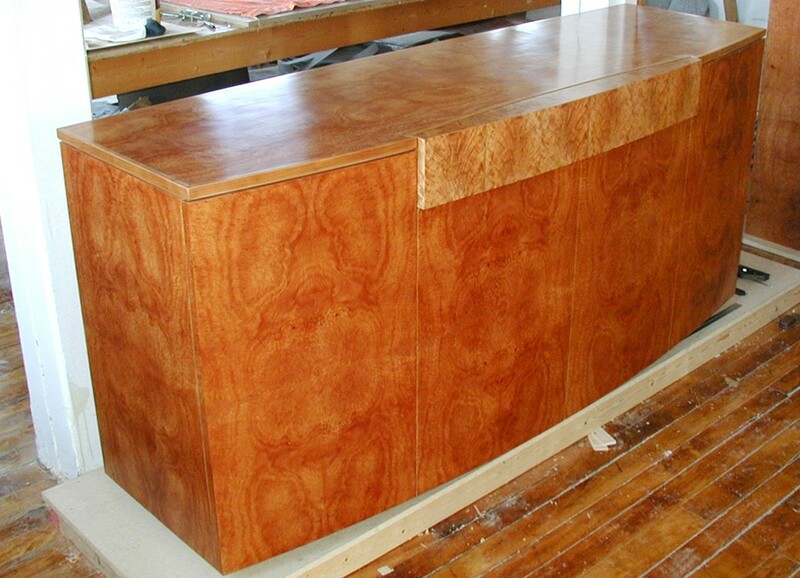 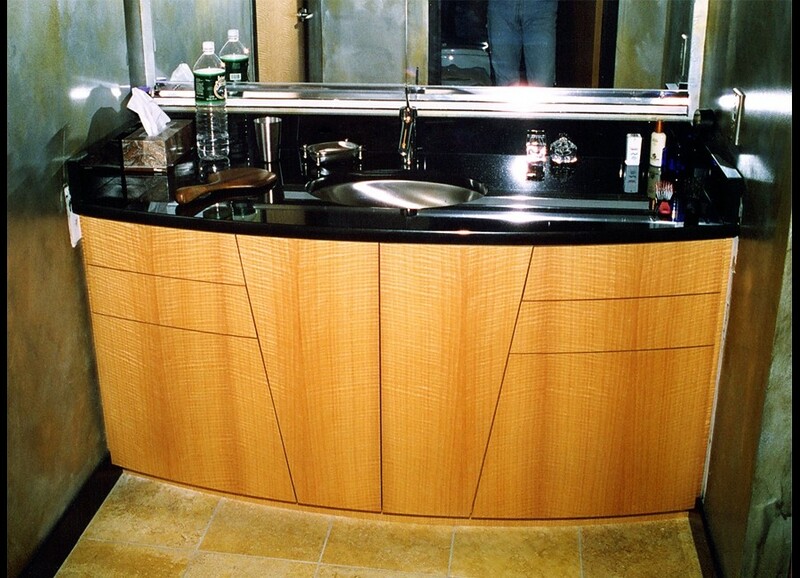 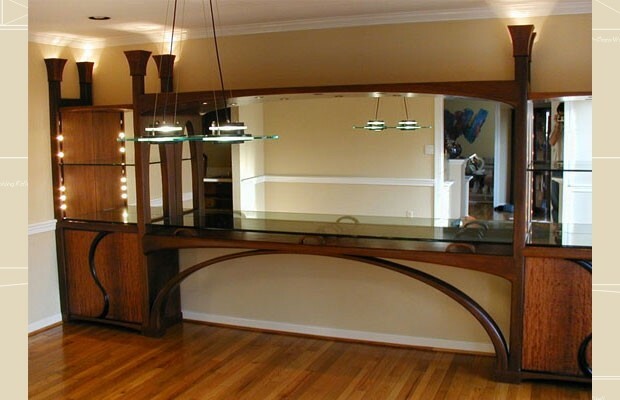 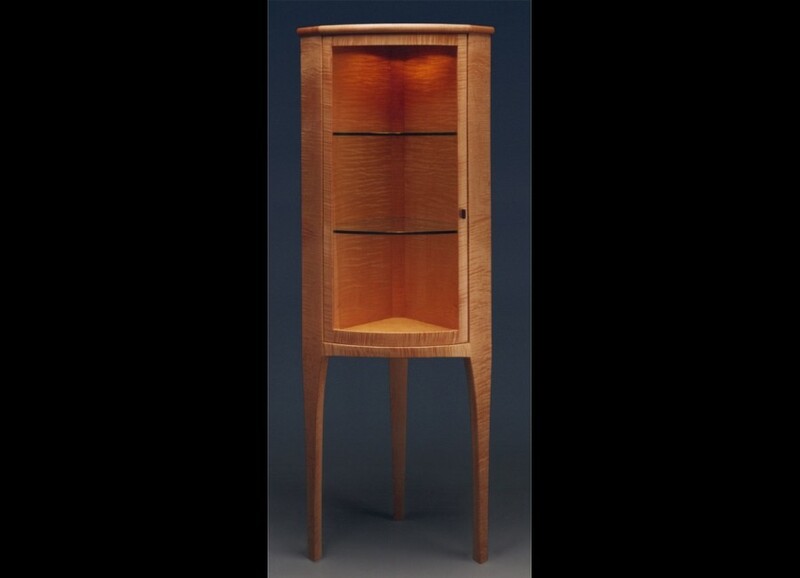 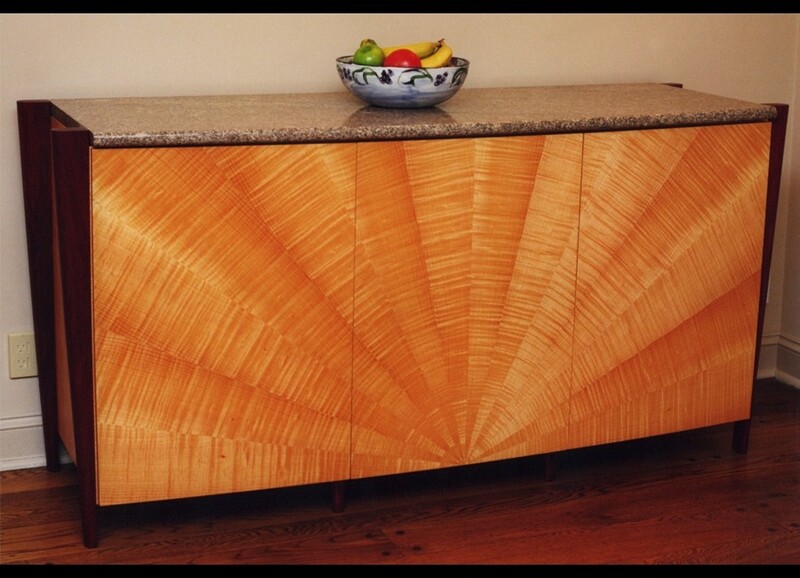 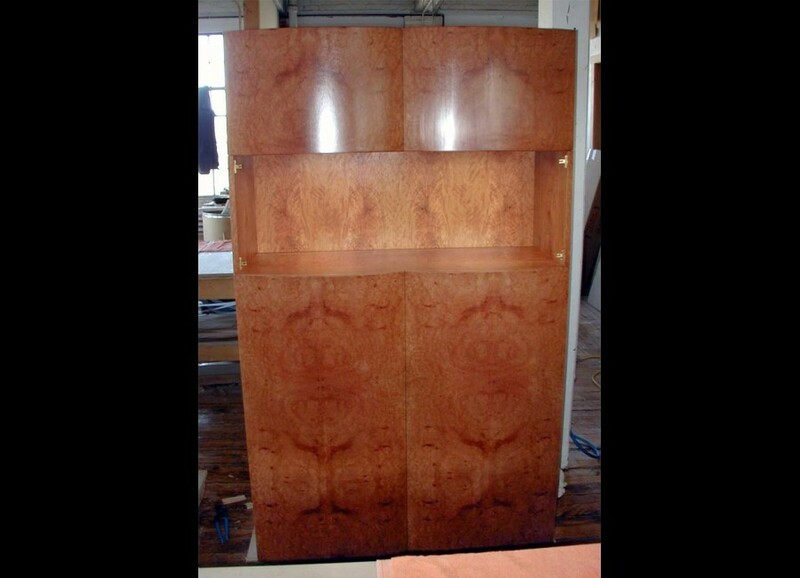 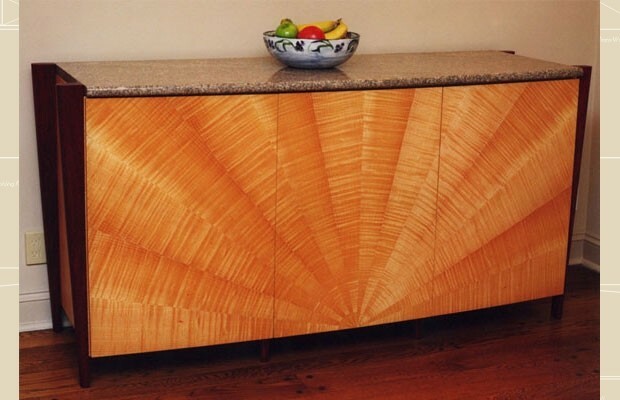 Madrone Burl with curved glass doors. 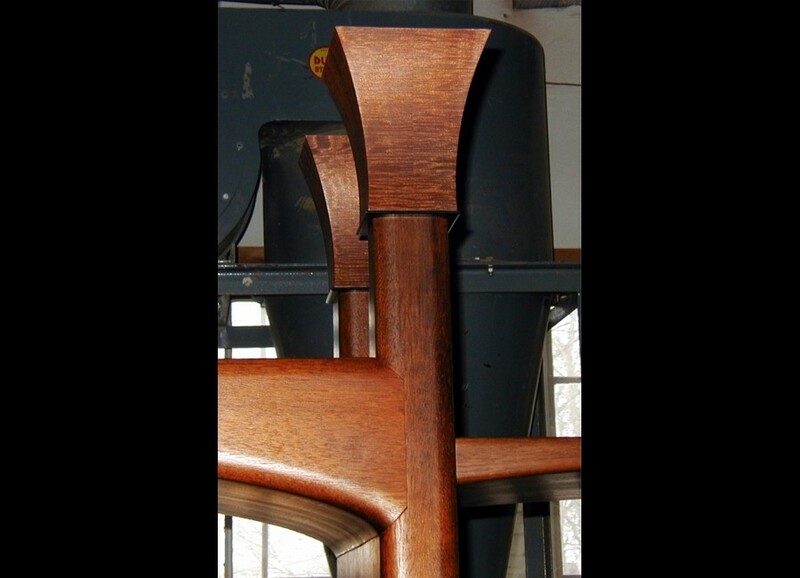 7'10"H x 3'11"W x 1'8"
Curly Maple with a fan pattern. 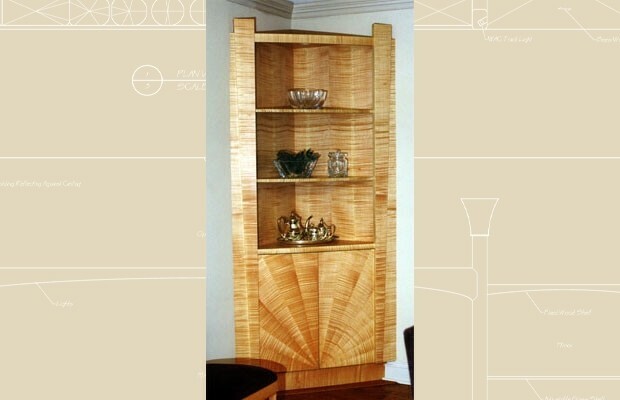 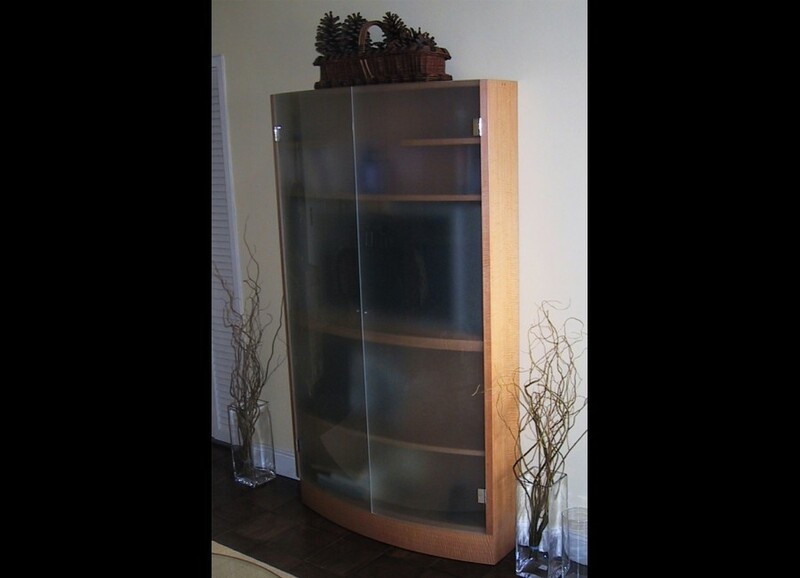 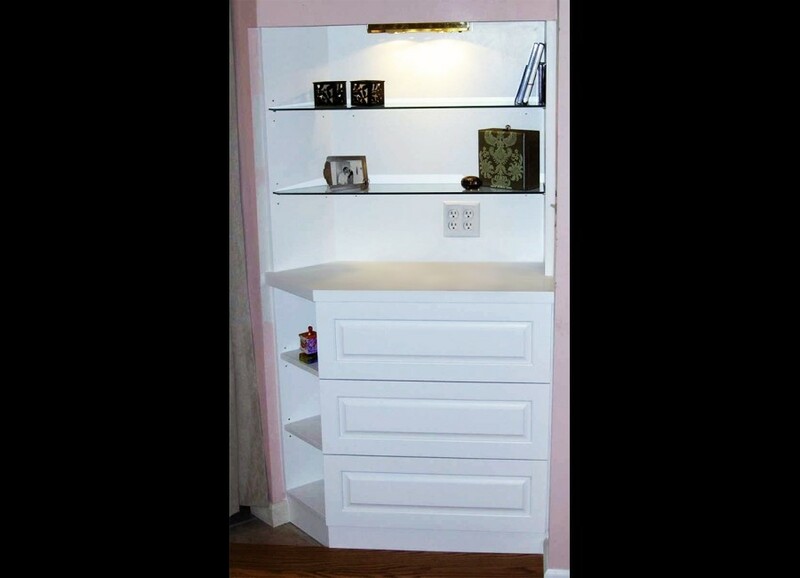 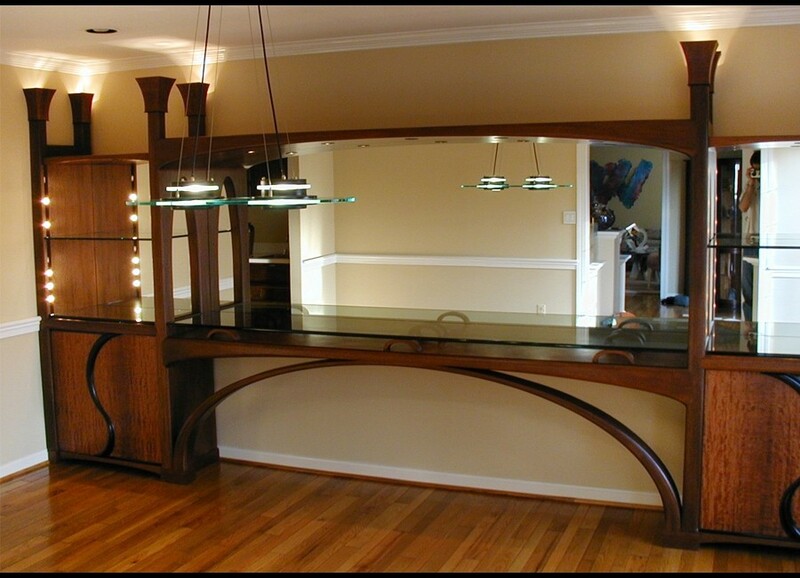 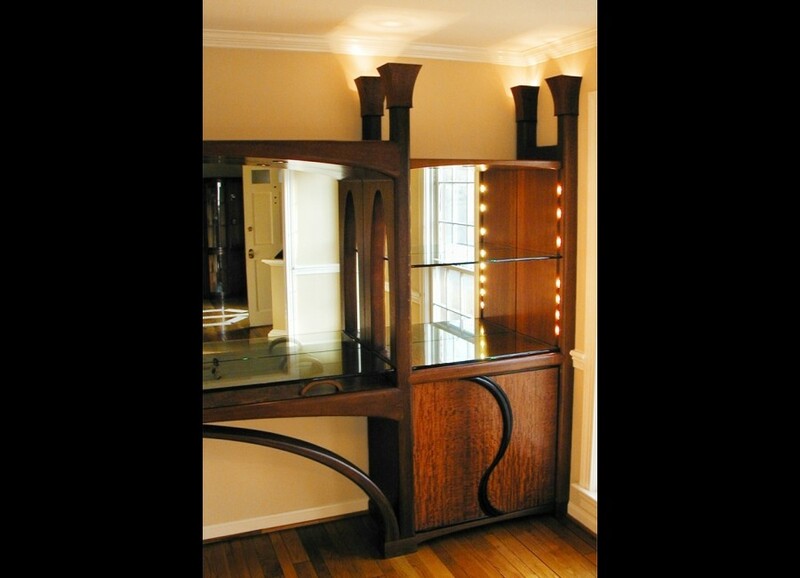 Curly Maple with a curved glass door, glass shelves, and lights. 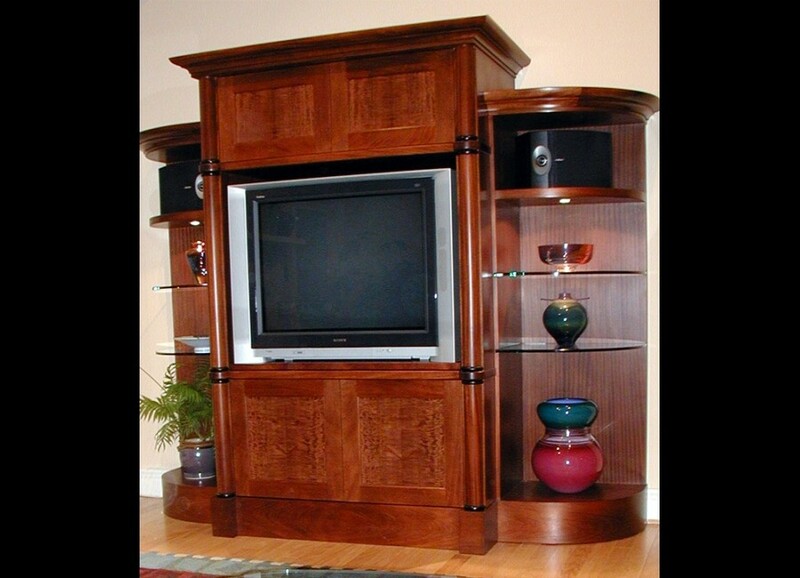 Curly Maple, Purple Heart and Granite. 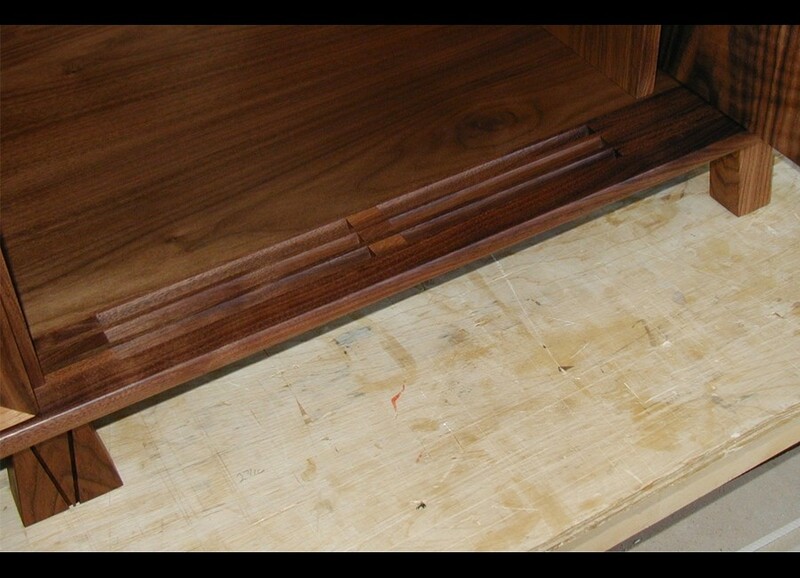 Crotch Mahogany with Maple interior. 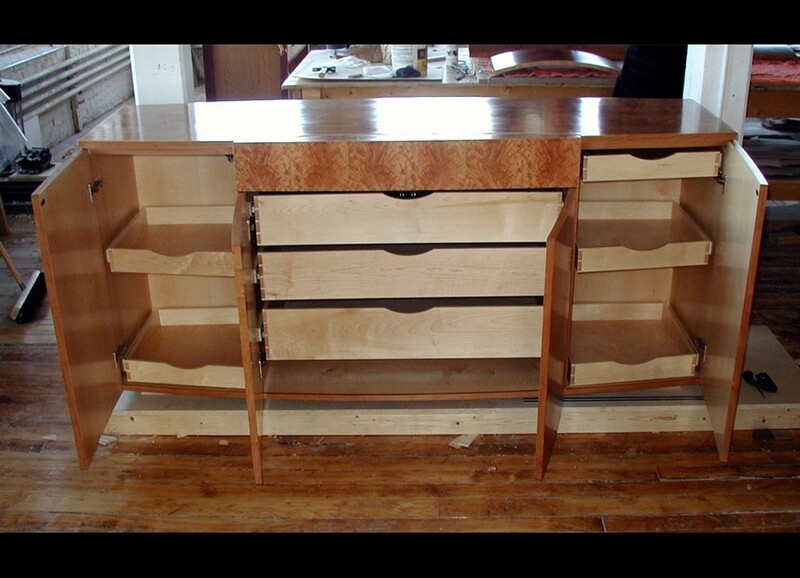 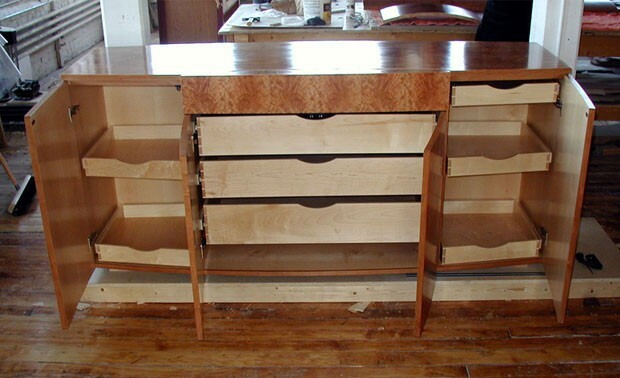 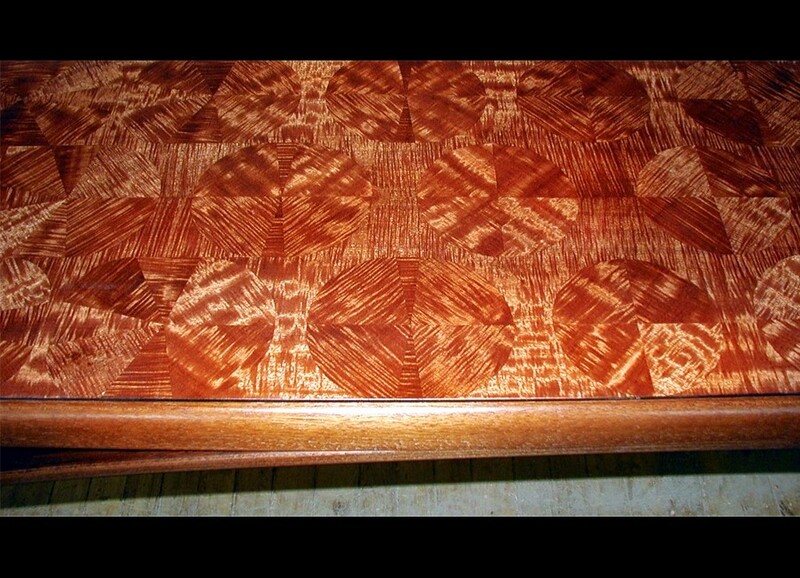 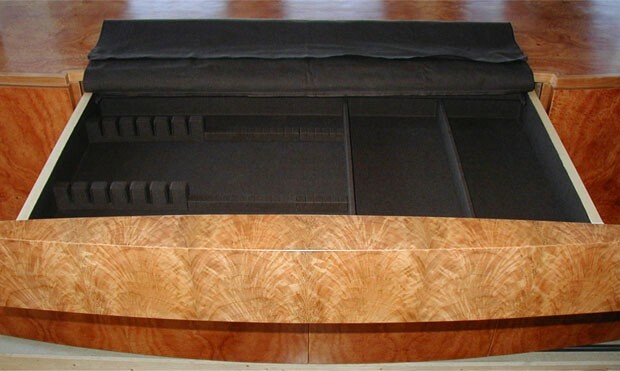 Madrone Burl, Crotch Cherry with Pacific clothe lined Silver drawers. 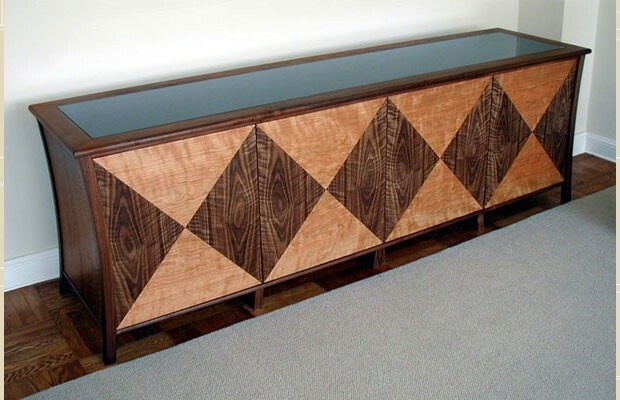 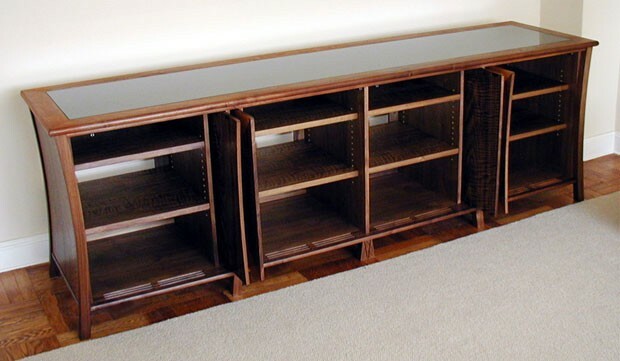 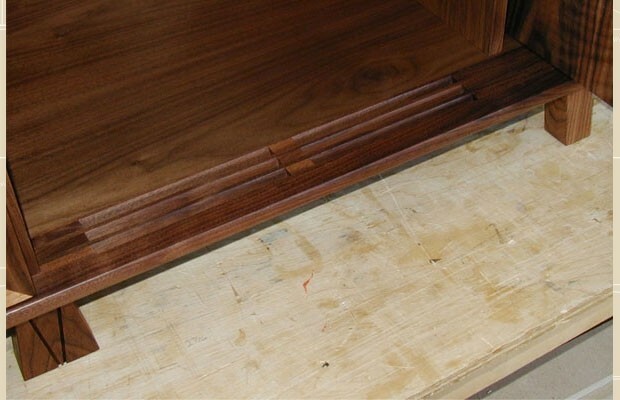 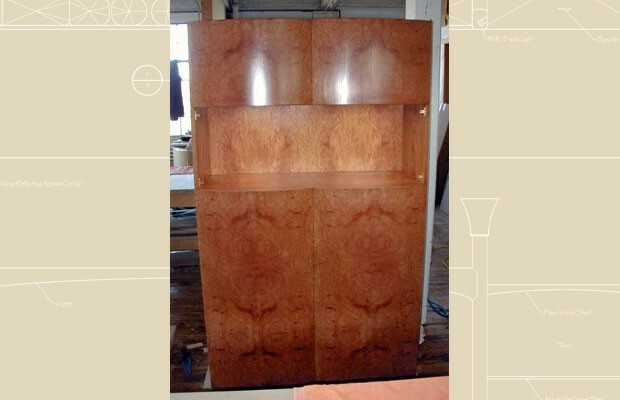 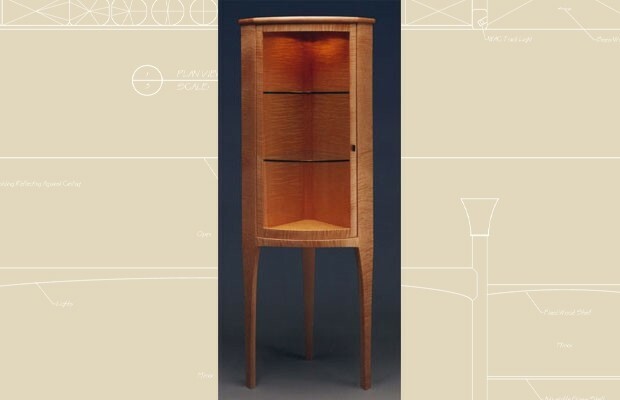 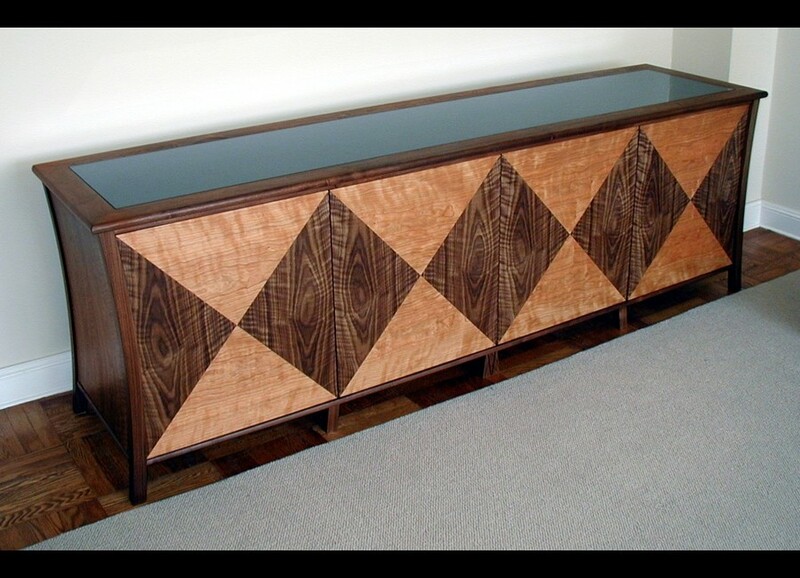 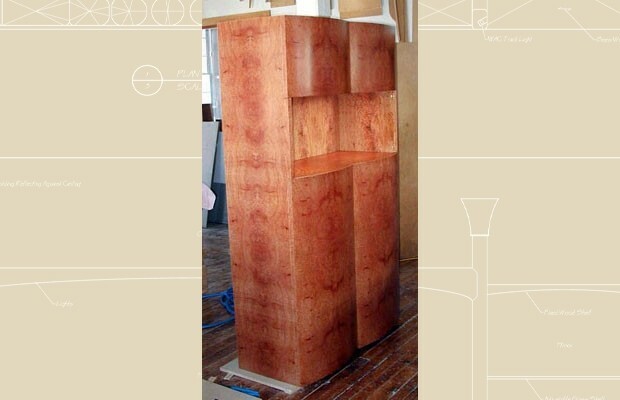 Stereo Cabinet — Walnut with Figured Cherry including vents for air circulation. 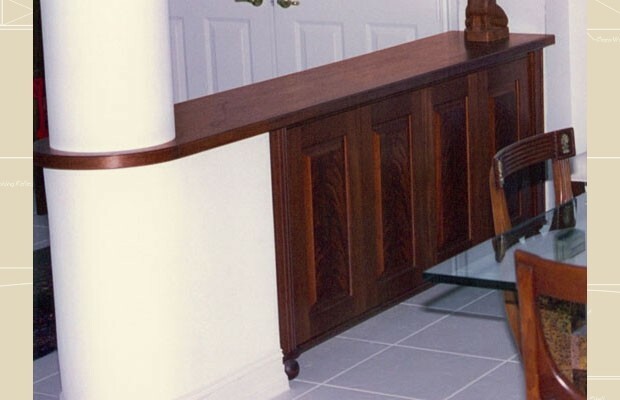 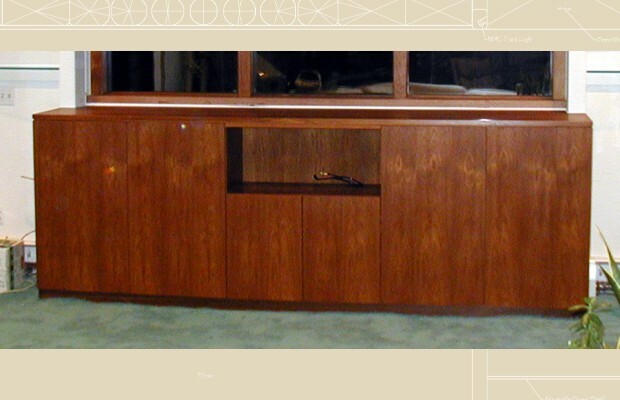 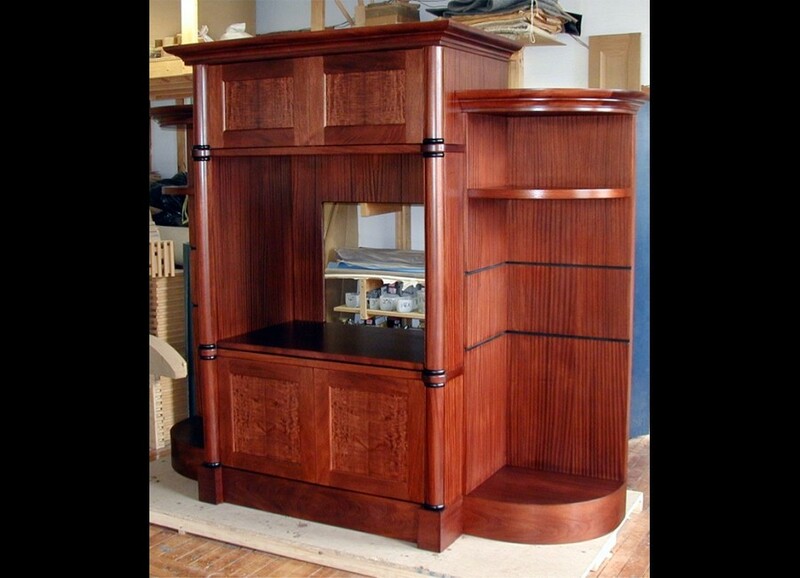 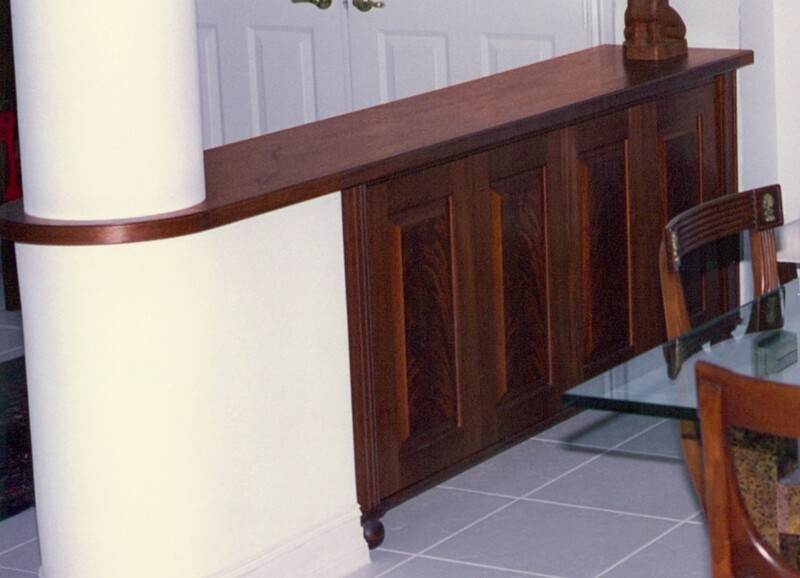 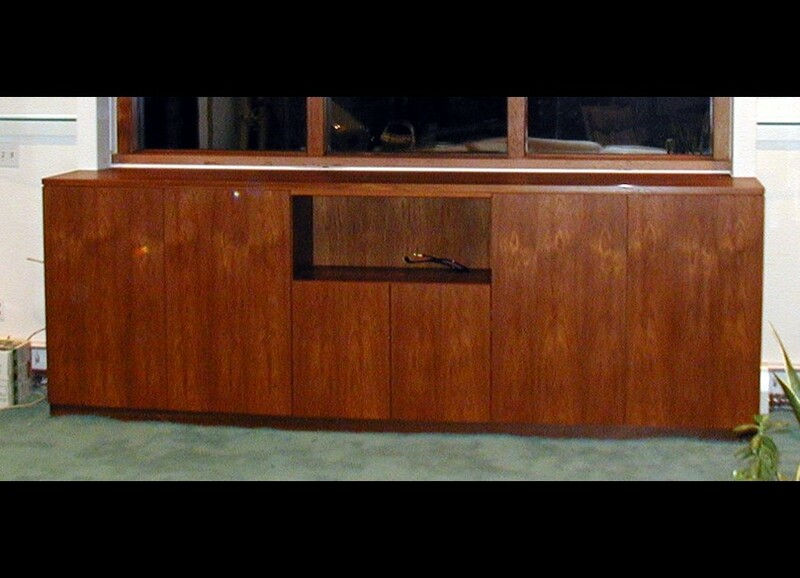 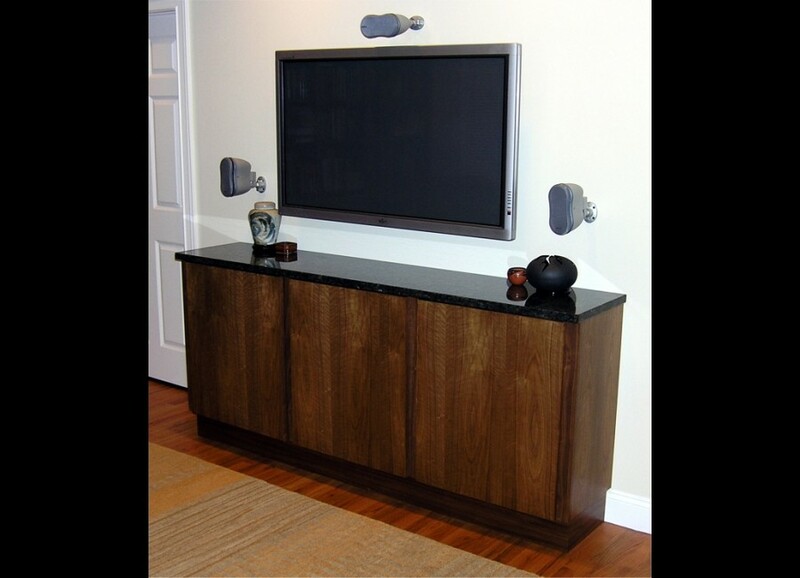 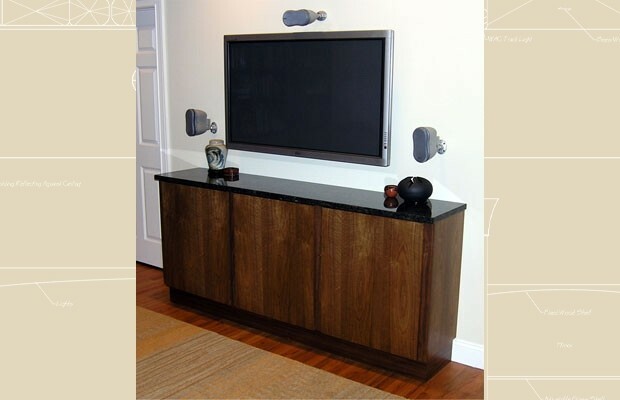 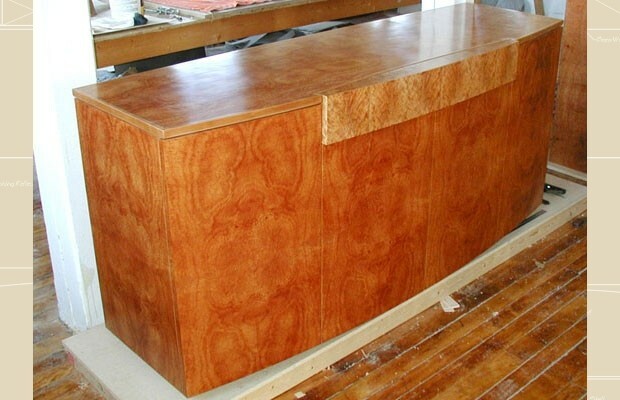 Television Cabinet — Curly Walnut with granite. 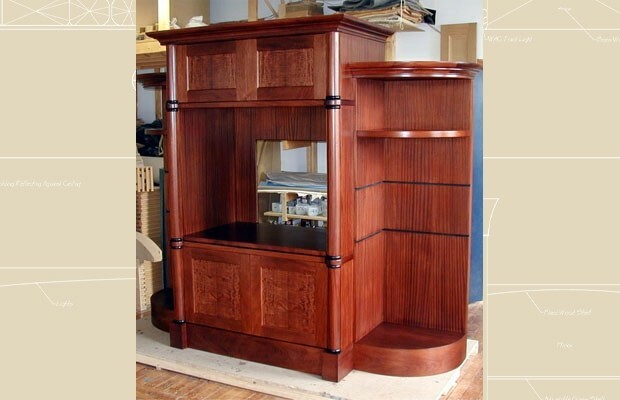 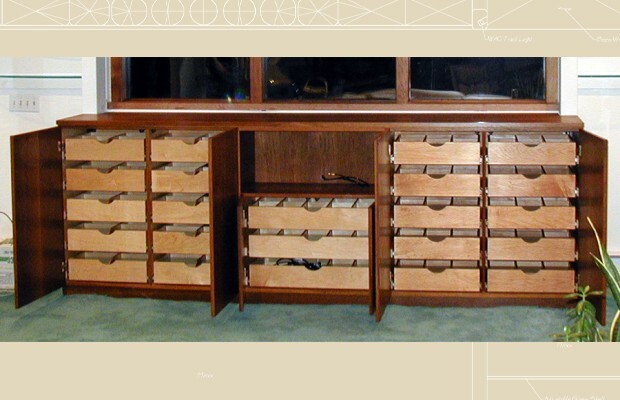 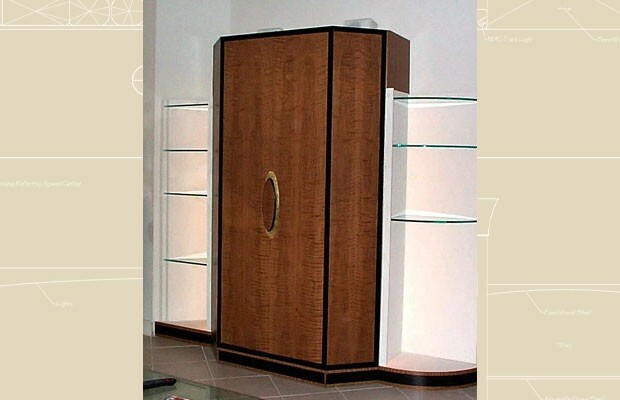 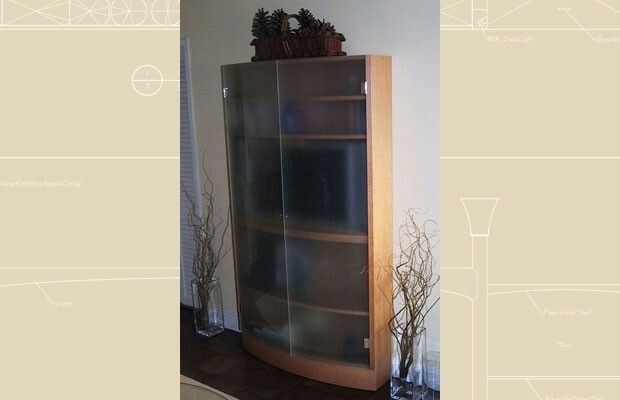 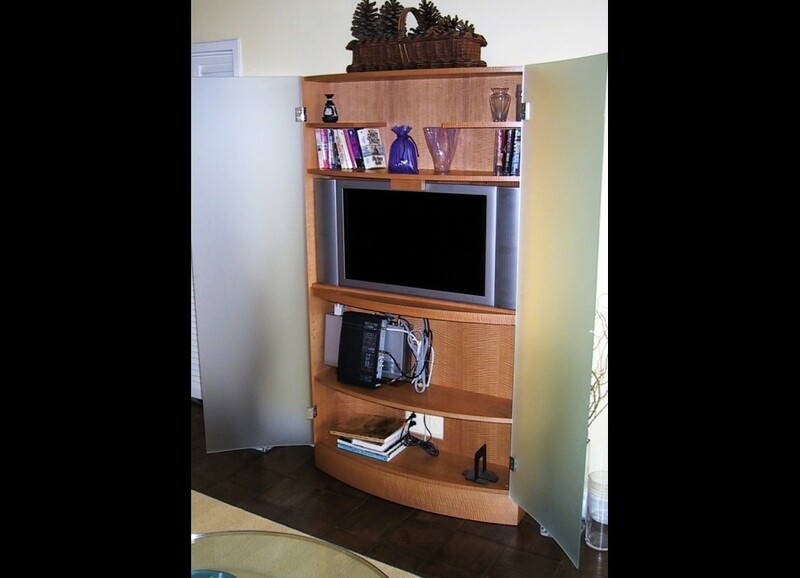 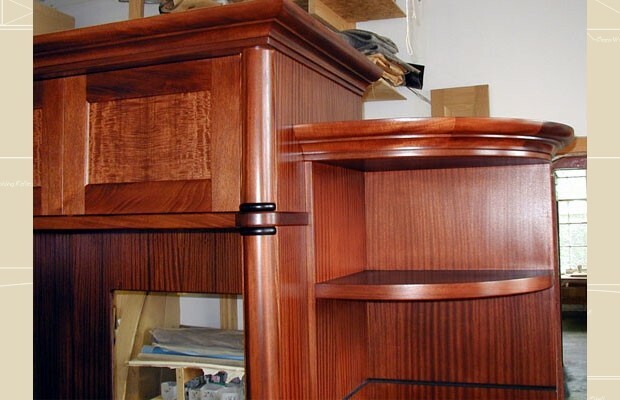 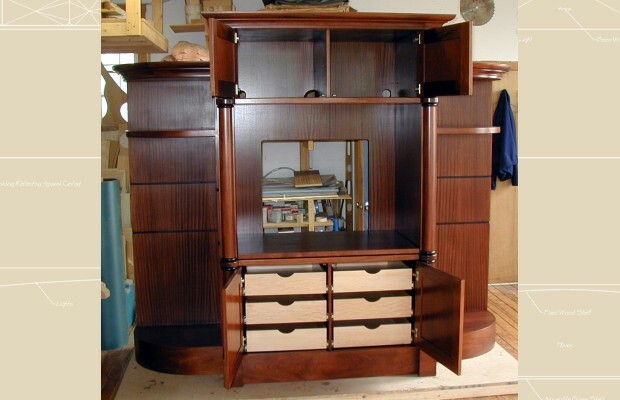 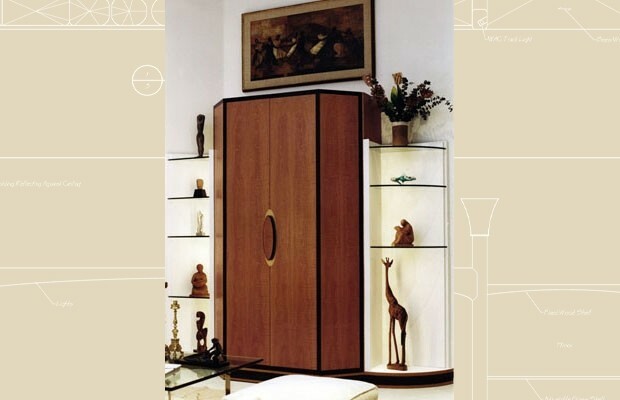 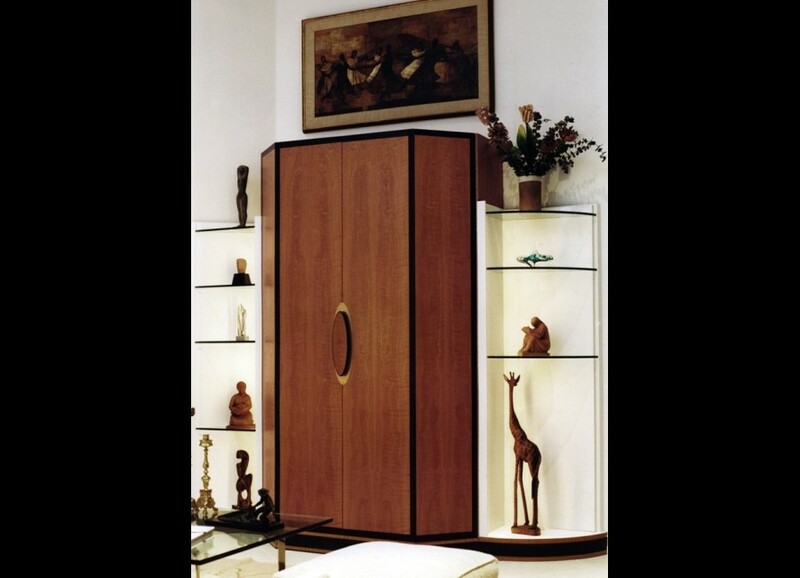 Projector Cabinet - Teak with Maple interior, DVD & CD Storage, the projector screen has an automated lift that comes up from behind the cabinet covering the window. 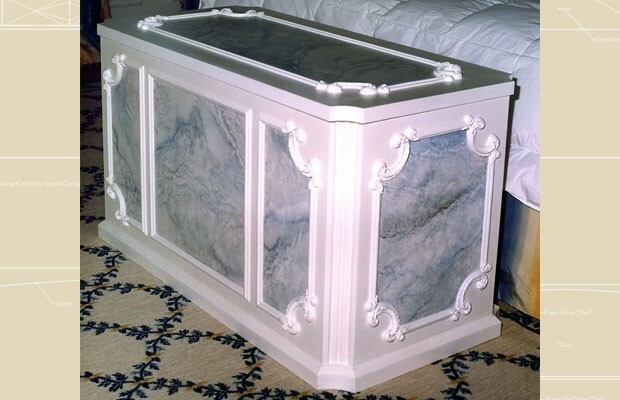 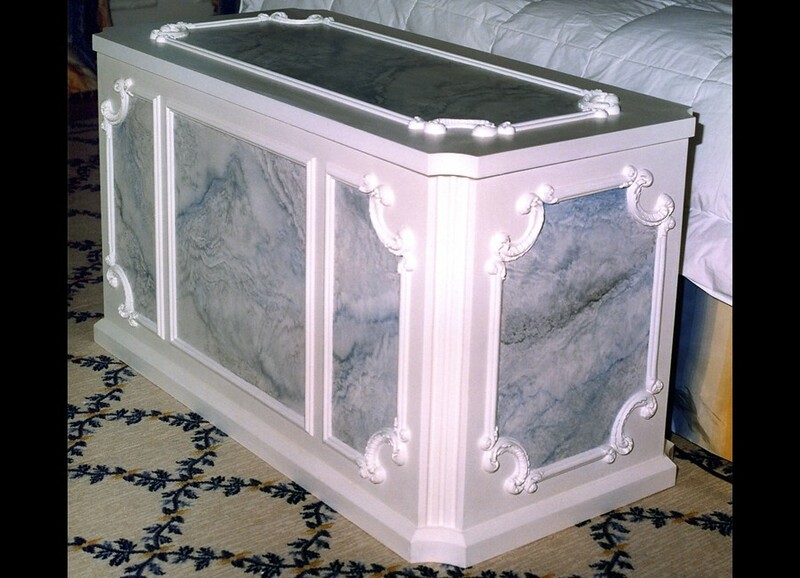 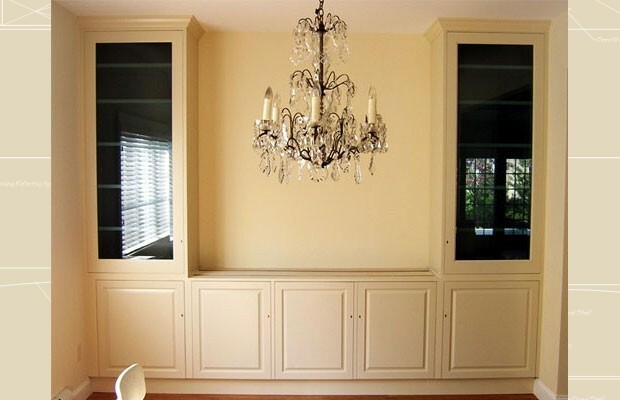 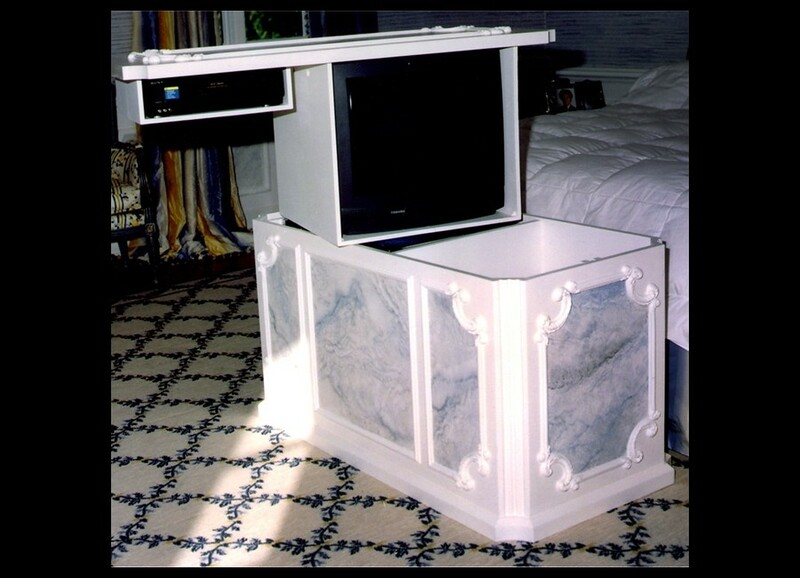 Painted White with Faux Marble and applied moldings with automated TV lift. 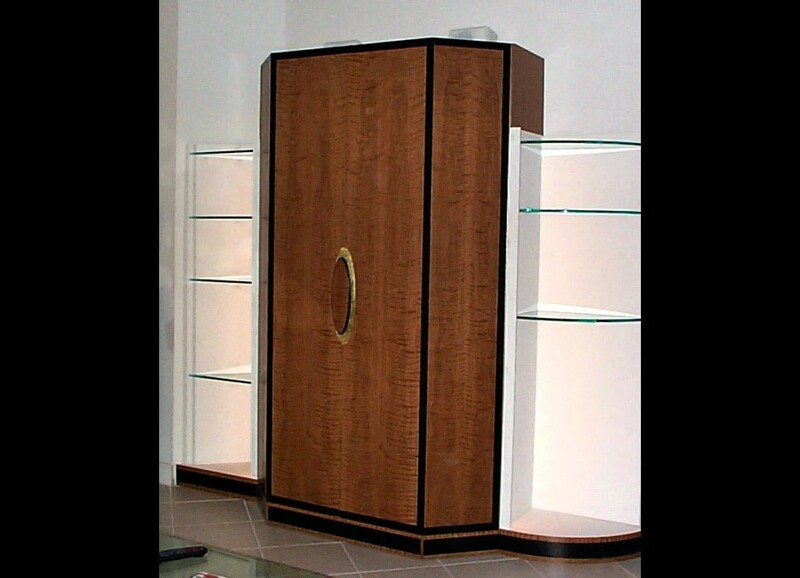 White Oak, Ebonized Walnut, Maple, Brass and painted shelving with glass shelves. 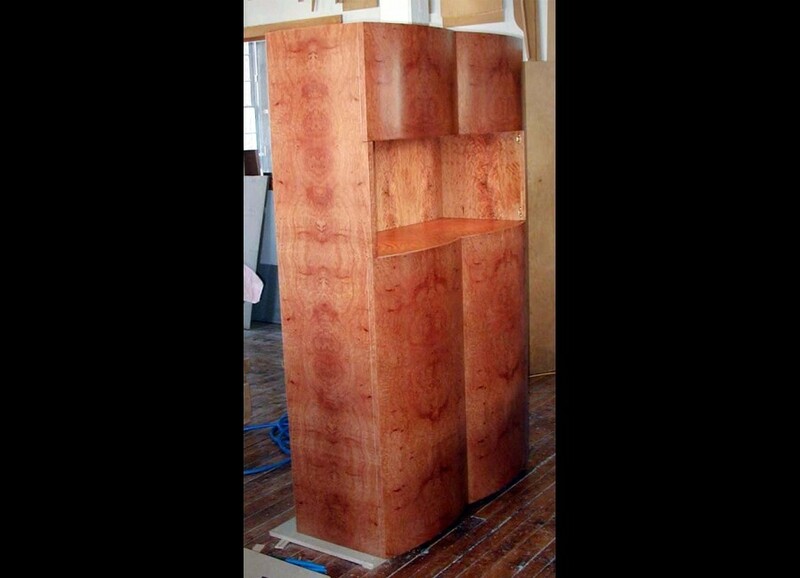 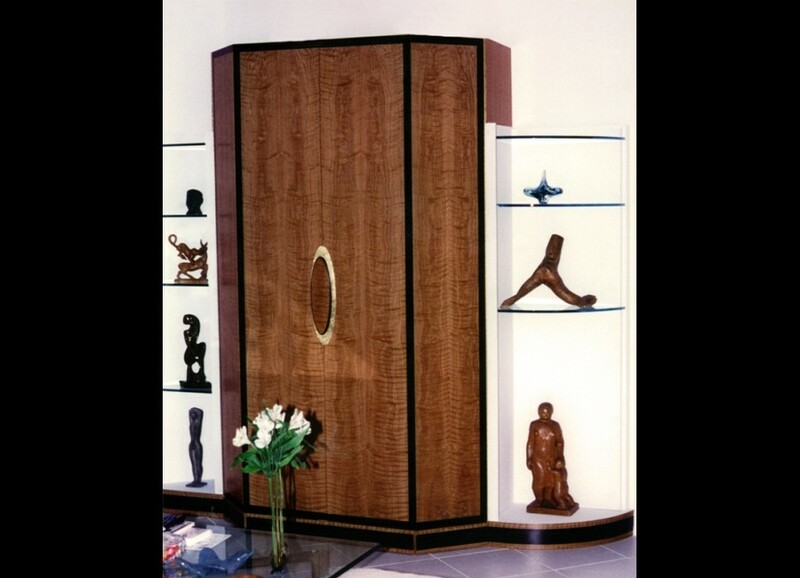 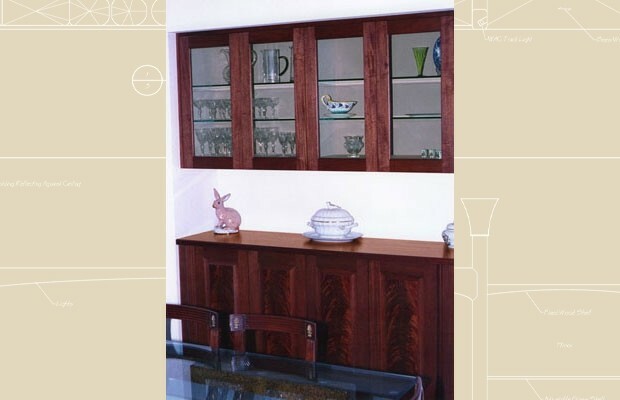 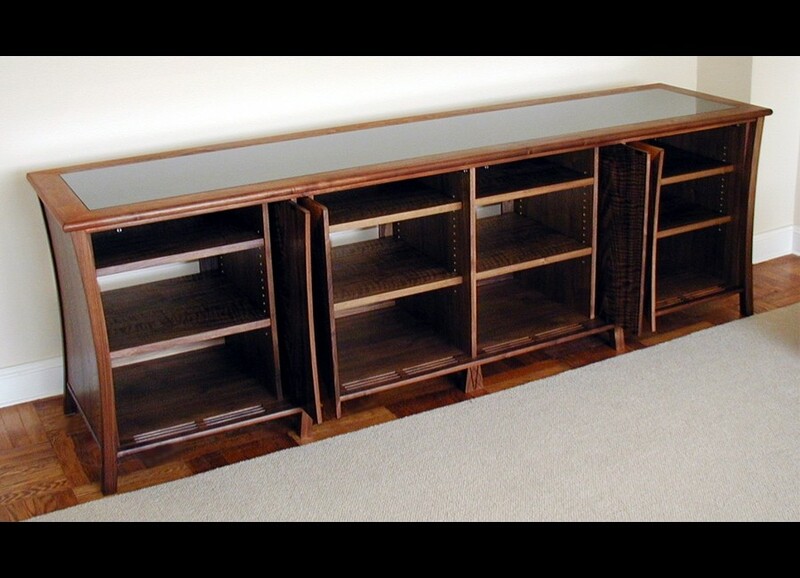 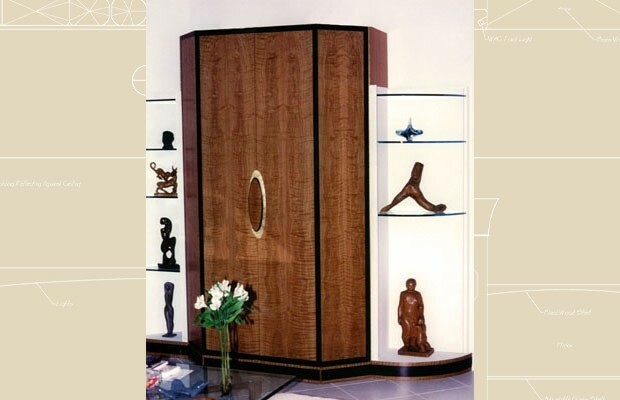 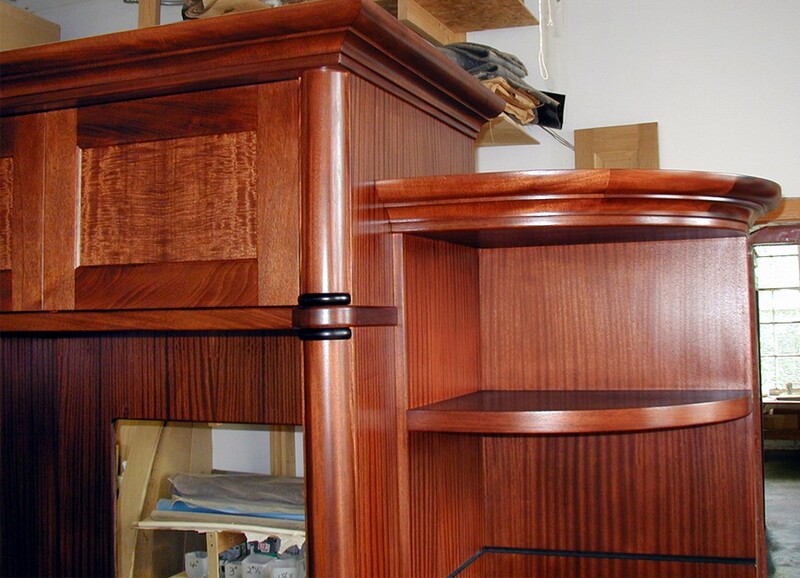 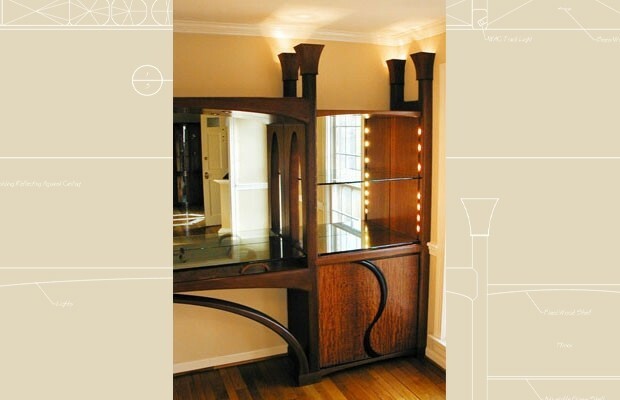 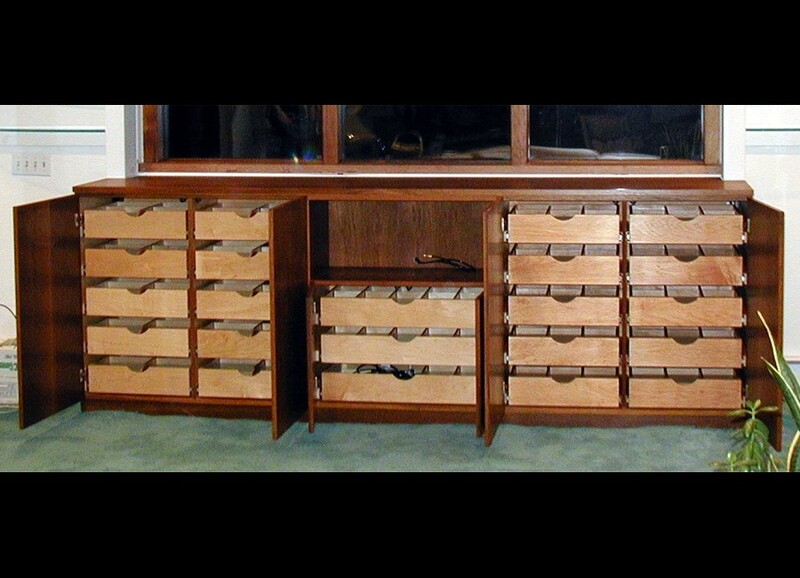 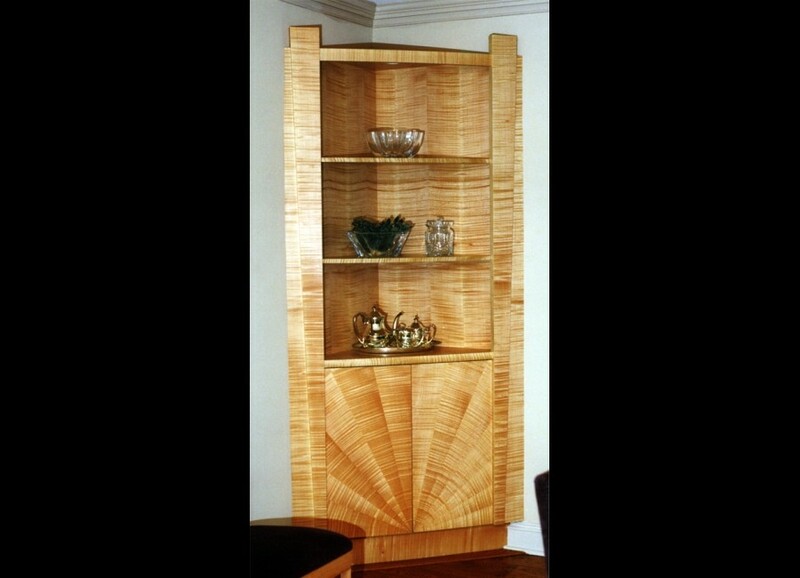 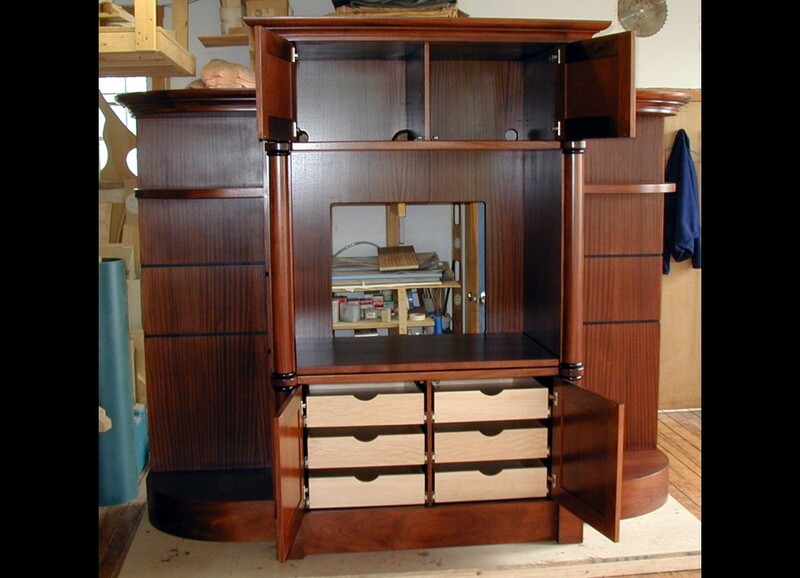 Mahogany, Sapele, Bees wing Andiroba, Ebonized Walnut with glass shelves. 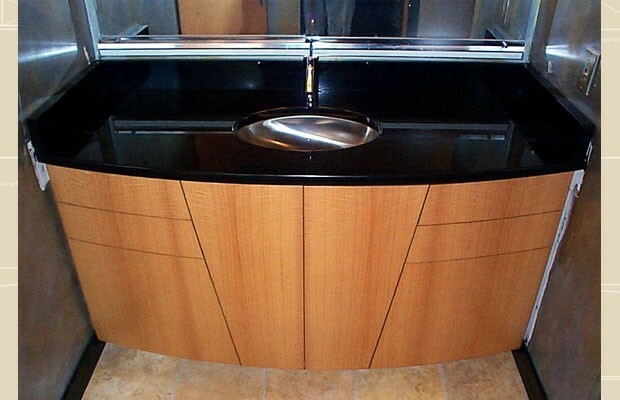 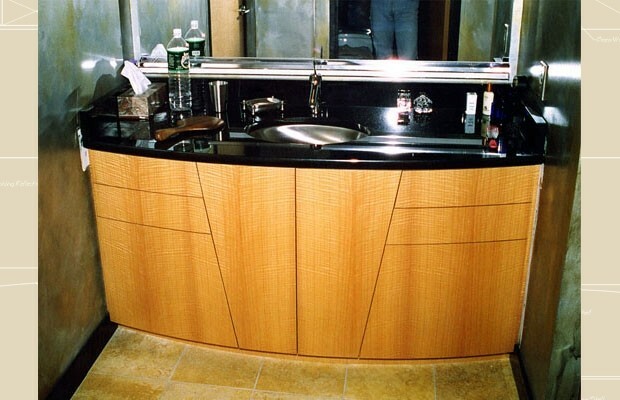 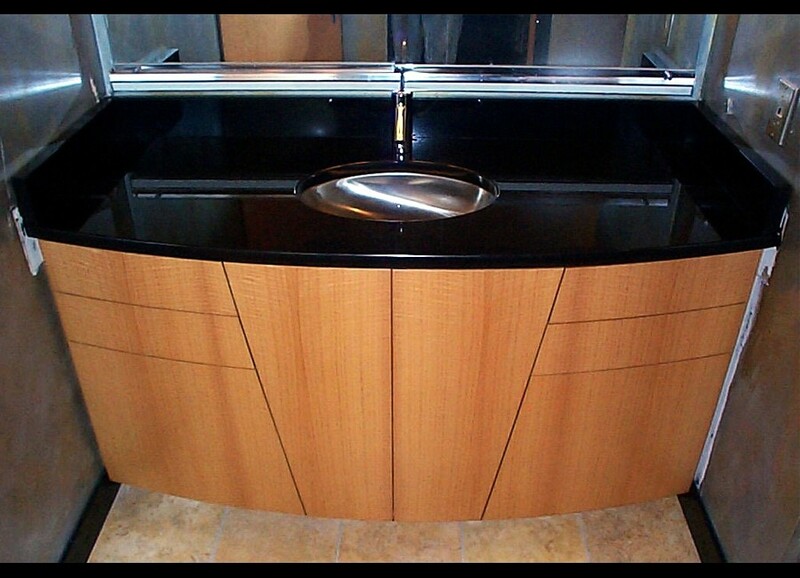 Curved front in Curly Anegre with black granite top.